When was the last time you saw a charity advert that made you think about your death? The chances are it wasn’t long ago. That’s because more and more charities are making legacy asks, rather than seeking one-off or regular donations. Across print, digital and TV, there has been a wealth of new adverts cropping up and making the case for leaving gifts in wills. For example, last year Save the Children UK launched a TV campaign called The Story of Alice (see sidebar), which focused on the effect one midwife had on a remote community in Liberia and encouraged viewers to think about their personal legacies. Save the Children ran a legacy campaign on TV last year called The Story of Alice. It told the story of Alice Sumo, a midwife working in a Save the Children-funded clinic at White Plains in Liberia. It has become a local tradition for mothers who use the clinic to show their gratitude by naming their children after her. Now there are more than 800 children who have been called Alice living in the area. The adverts were created by the agency Consider Creative and ran both on TV and online. 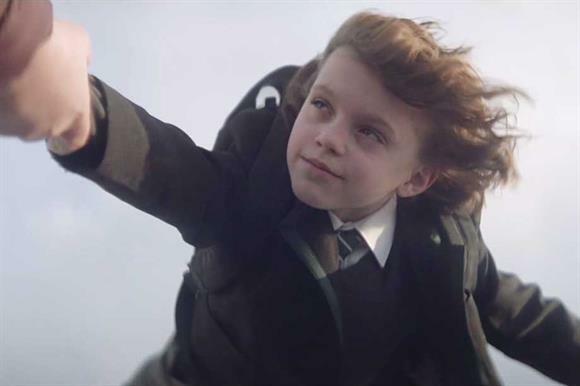 Ian Boardman, creative partner of Consider, says it can be hard to measure the response to a legacy campaign, but when the advert ran on TV in spring 2018 it attracted double the website visits that the previous campaign had managed, and significantly increased the number of legacy packs downloaded. Towards the end of the year, the NSPCC ran a TV campaign called Guardians, which encouraged donors to leave gifts in wills in order to help protect young people who had been abused. So what has prompted this recent upswing in legacy marketing campaigns? Craig Fordham, director of legacies at Macmillan Cancer Support, believes more charities are now focusing their efforts on legacies because of the UK’s ageing population. According to the Office for National Statistics, 11.8 million people in the UK were 65 and over in 2016, representing 18 per cent of the population. That figure is projected to grow to 20.4 million by 2066. However, 60 per cent of adults do not have wills, according to Co-op Legal Services, leaving a large untapped market. Remember A Charity says 35 per cent of over-40s in the UK "would be happy to" leave gifts to charity, but only about 6 per cent actually do so. "There is a huge opportunity for charities to explain the work that charities do and really inspire people to leave gifts for causes they care about," says Fordham. The campaigning group Dignity in Dying has grown its spend on legacies in recent years. David Pearce, director of fundraising and marketing at the charity, says it’s an "obvious place for sustainable investment" given its cause area. It has reached out to potential givers through mailings, newsletters and quarterly emails, and, more recently, through Facebook advertising. Nicola Lapsley, client strategy director at the Bristol creative agency Different Kettle, says it has seen an increase in the number of clients developing legacy propositions in the past 18 months, something she puts down in part to the General Data Protection Regulation. "Many charities have seen their warm files shrink, and many acquisition channels, cold direct mail in particular, are also becoming more challenging," says Lapsley. "With the ageing population holding lots of wealth, particularly in property, developing legacy marketing is now a sound investment." However, legacy marketing takes time to yield results. Usually someone needs to see legacy messaging multiple times before taking action, so investing in it is a long-term commitment, sometimes requiring significant up-front spend. Macmillan Cancer Support takes an "omni-channel approach and a full-year, always-on strategy", says Fordham. He says its legacy campaigns might not prompt someone to write a will, but when someone does make that step, perhaps because of a key life event, Macmillan is more likely to be front of mind. A number of digital will-writing services are available now. These allow people to follow step-by-step guides to make their wills, which are then checked by legal experts, printed and signed. It is also relatively easy and cheap to run digital campaigns using social media. Pearce cites the example of a test campaign run on Facebook by Dignity in Dying, which offered its followers a free will service through its digital partner Farewill. The charity spent £5,000 on it, but generated legacy pledges worth £220,000. Being able to so immediately demonstrate the value of investing makes it much easier for charities to start testing in this area in a tactical way, learning about what works. The ability to target extremely specific groups, use almost limitless creative executions and track actions makes Facebook an incredibly powerful tool, according to Different Kettle’s Lapsley. The long-term benefits of investing in legacies are clear. If it’s done well, legacy marketing will yield the best return of any fundraising channel, albeit much further into the future.